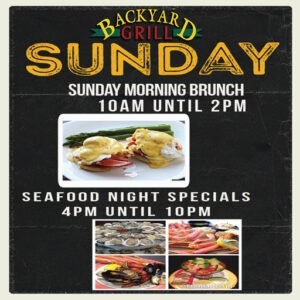 Sunday brunch starts at 10am every Sunday morning at Backyard Grill Restaurant in Chantilly. Enjoy a wonderful meal out with your family and friends. Eat together in a relaxed atmosphere where everyone can order what they like best.